Seeing Mayon Volcano is probably one of the highlights for tourists visiting Albay, it would be a lie to say that we did not put this on our top agenda for this trip. All throughout Grade School, we’ve been told that Mayon is one of the country’s most beautiful landscapes, known for its “perfect cone”, so we wanted to see it with our own eyes. Unfortunately, some things just don’t go as planned. "Mayon, where na u? Dito na us!" Our two-day itinerary in Albay mostly consisted of places where we can get a good views of this majestic volcano. 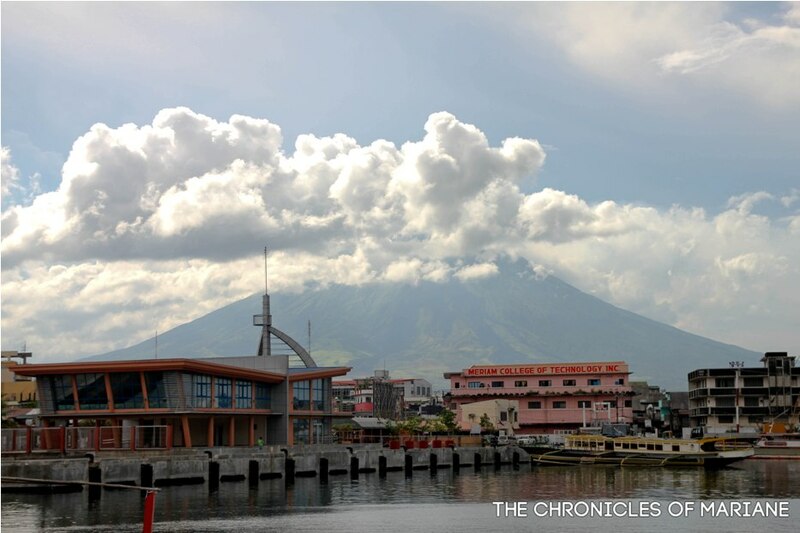 Mayon can be seen almost anywhere in Albay, since it is actually shared by eight cities and towns in this province. Even locals from neighboring places such as Sorsogon and Camarines Sur attest to having a glimpse of the Mayon especially during sunny days. Even though all weather forecasters are in agreement that we might be experience heavy rain the following day, we still prayed and hoped that we will see the volcano in its full grandeur even just for a day. Our first destination was Our Lady of the Gate Parish, also locally known as Daraga Church. 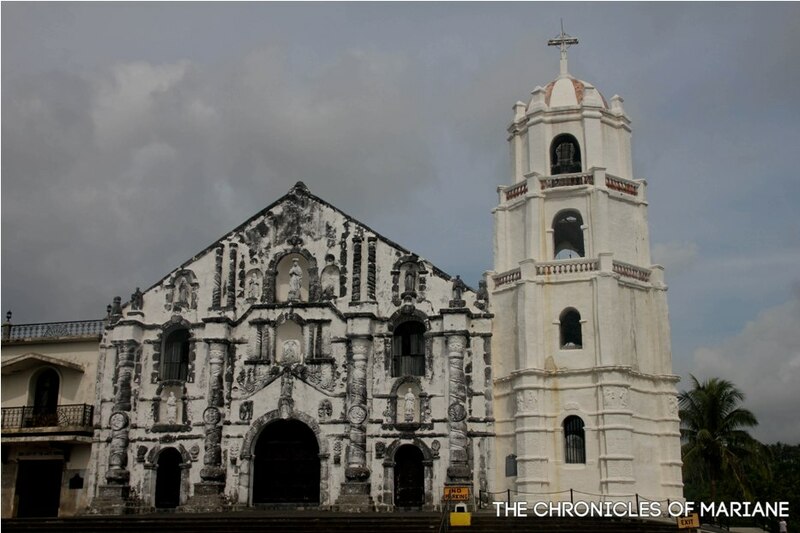 Built in 1773, it is said that the Parish of Daraga was transferred to this church after Mayon’s eruption in 1814. This church also underwent renovations after it received its own share of “war wounds” during the American occupation in 1945. But despite that, it still gained its National Cultural Treasure status in 2007 for its baroque architectural design and preserved religious relics. The first thing I noticed about the church’s façade was its white painting. It somehow left a weird impression to me since I prefer historical structures to be preserved with its original look still intact, but that's just me. The detailed carvings were really impressive and even though we weren’t able to see its interiors, it was satisfying looking at it even from afar. The downside was, even though it didn’t even rain a single drop that day, it was very very very cloudy! It was so humid and yet the clouds decided to stay close to Mayon, blocking its glorious form from us. 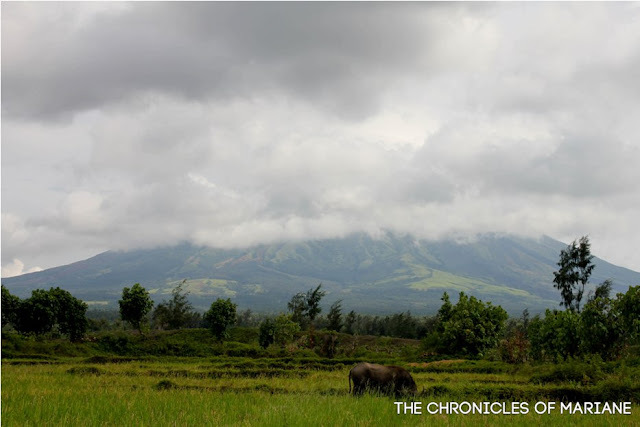 We were told that you can get the best view of Mayon during early morning and late afternoon, but even though we woke up around at around six in the morning, Mayon still shied away from us and decided not to show herself that morning. We opted to take a detour to Hoyop Hoyopan Cave to kill time, hoping that come afternoon, we will be lucky enough and see something awesome. 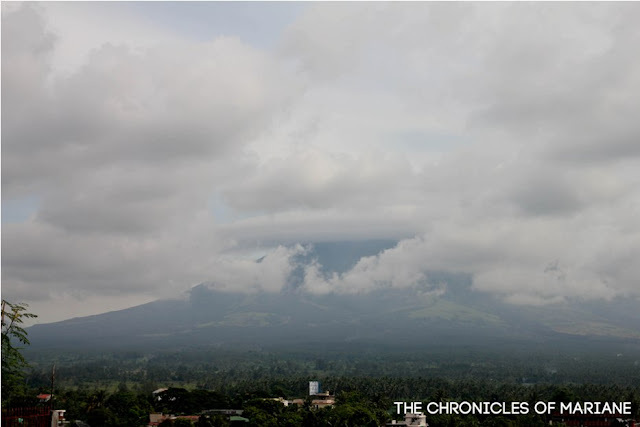 However, Mayon was still a no-show, she really must be a “cloud favorite” (me and my bad puns.) 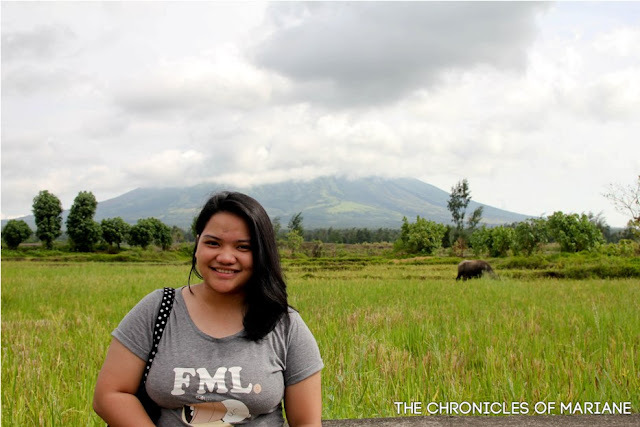 When we passed by Daraga hoping to see the Ruins with Mayon on the background, lady luck was still not on our side. So we decided to take a nap, which turned into a 3-hour sleep. 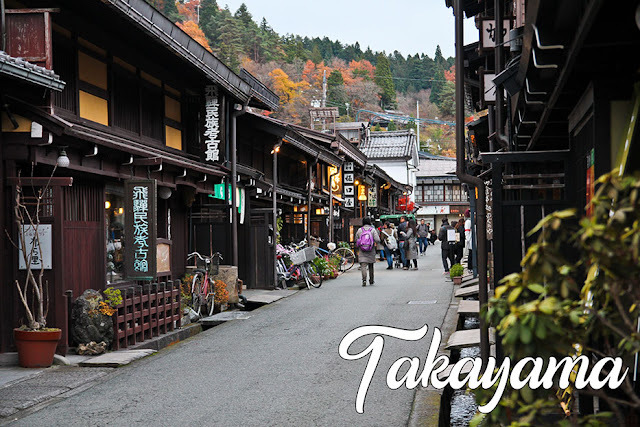 When we woke up, we went to try some recommended eats in the city, most of them may not be cheap, but at least they were yummy. 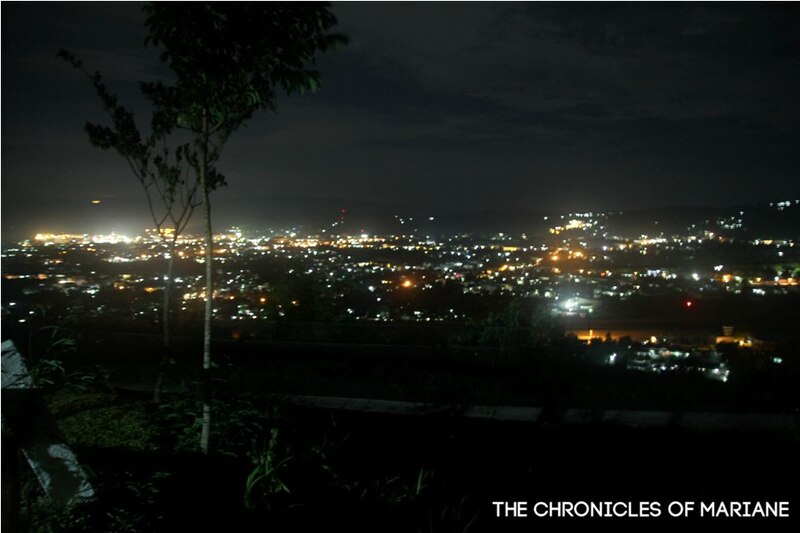 Afterwards, it was Ligñon Hill for us and our quest to reach the top before 9 pm. I think we decided to hike up Ligñon Hill during the evening because it would be cooler and we hoped to see Albay city lights, but I have to admit I was in a bad shape then and had no more energy to finish the trail, so I just took this very blurry picture with my shaking legs and while catching my breath as a remembrance that we at least went to Ligñon Hill for the experience. LOL This is another wake up call. In my case, I would recommend going to Ligñon Hill on a morning, since you could rent a habal-habal anyway to save time and effort in case you don’t want to do any exhausting physical activity. And there are lots of things to do there; there’s a zipline, paintball, exploration of Japanese Tunnels, and you can get a better view of Mayon during the day of course! We ended the day praying that tomorrow, we will be given the chance to at least have one decent picture of Mayon before we leave for Naga. It was an early start again for us and Mayon was still in her beauty rest, pampered by the clouds. We still decided to push through with our plans and go to Cagsawa Ruins for that postcard view of the volcano, hoping that the weather will clear up as we reach the area. Unfortunately, even after breakfast and waiting there for almost three hours, more clouds loomed in and decided to hang around the volcano’s vicinity. Even though it was not what we hoped for, we still took some pictures and paid respects for those who have lost their lives during the 1814 tragic eruption of Mayon. We decided to try our luck again later in the afternoon, on the meantime, we hoped on to a Ligao-bound jeep and took a breather at Kawa-Kawa Hill. Being a popular area for tourists in Albay, the area is also jam-packed with stores selling souvenirs and whatnot. We were also offered to try an ATV tour, 1,500 pesos for three hours but we didn’t have the extra moolah so it was a no for us. 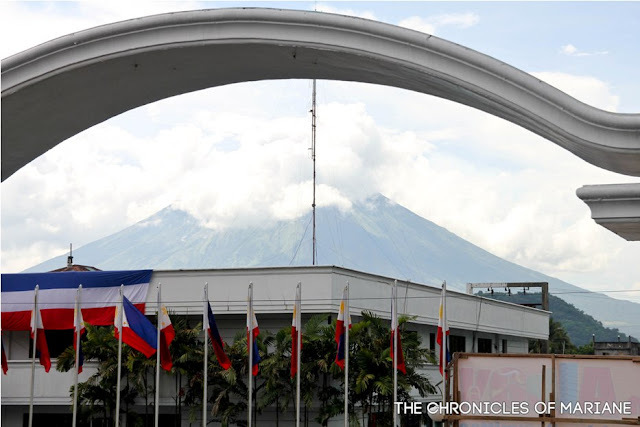 We’ve also heard some stories of foreign tourists who tried hiking up the volcano, this is an exciting way to see Mayon, but be sure to hire a guide and get the latest weather and PHIVOLCS updates. 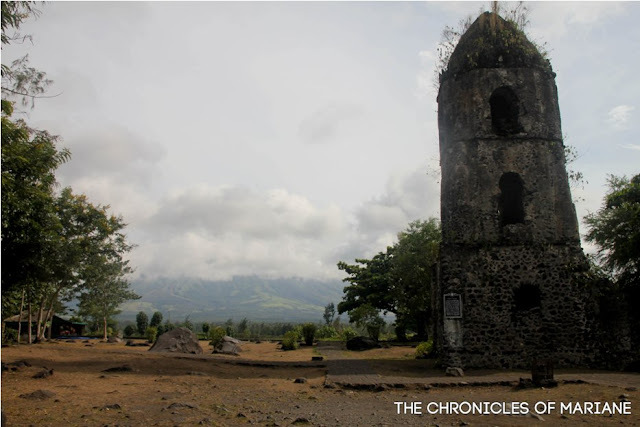 By the time we passed by Daraga on our way back to Legazpi, Mayon was still shrouded with thick dark clouds, so we opted not to go back to the ruins and just spend some time at Peñaranda Park, a place that we always passed by during our first day but never really got to explore. 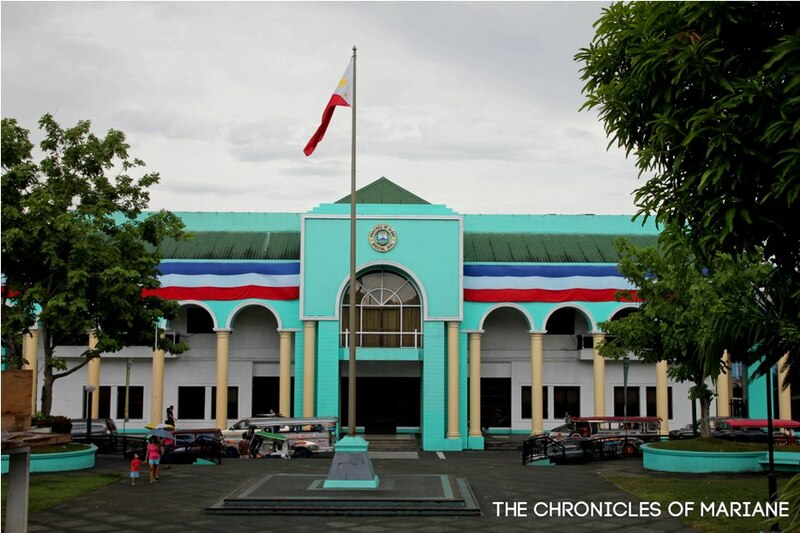 This area is home to some of the province’s most important buildings: Albay Provincial Capitol and Legazpi Cathedral. Embarcadero was our last stop for the day. The building looked stylish and had a unique design but it was almost deserted and there were not much to do there aside from eating and zipline, which we didn’t try because funds were running out. I took what was probably the best shot I could take from Daragang Mayon given that she was still covered in a veil of white clouds. This just goes to say that not everything that you hoped and planned for will happen. Maybe this is not the right time for me to see the beauty of Mayon Volcano. 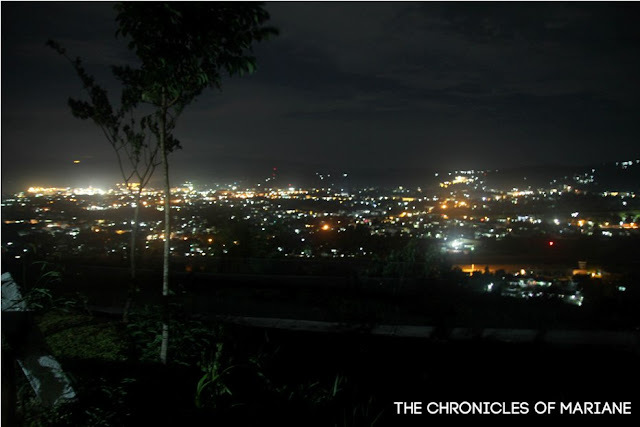 :( However, I did not feel disappointed since I see this as an opportunity to visit Albay once again in the future. Almost all jeepneys in Albay that I’ve seen pass by Daraga so it wouldn’t be hard to hail one. 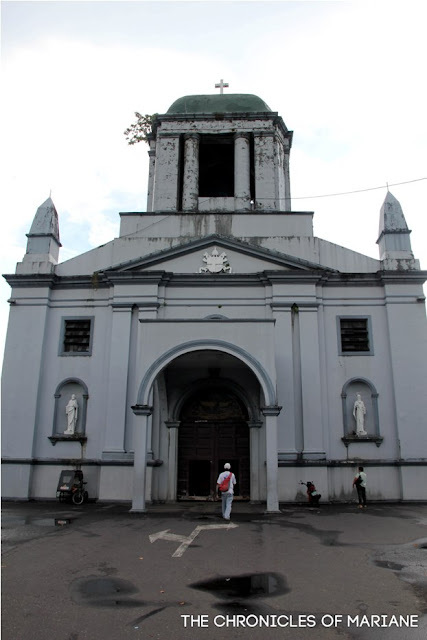 Ask the driver to take you to Daraga Church, your landmark is a basketball court/recreational park. 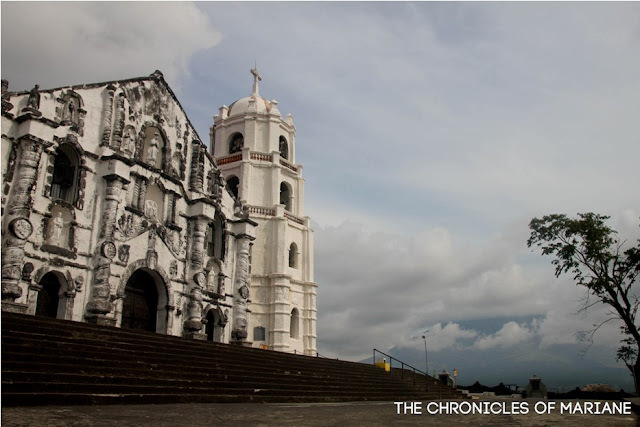 From there, look for a stairway that will take you to Daraga Church. What we did was take a tricycle from Peñaranda Park since we got confused looking for the right jeepney to take. However, I believe the “Loop 2” jeepneys pass by the area, do confirm with the locals though since we were told that there is a time schedule for this route (when we were there, we were told that this jeep are only available until before 7PM). Take a jeep headed for Daraga and ask to be alighted at Cagsawa Ruins, note that you can ride jeeps that have Legazpi-Camalig, Legazpi-Guinobatan, etc as these will also pass by the same highway. From there, you may take a tricycle to the entrance or walk. Walking may take around 10-20 minutes and entrance fee is 10 pesos. If you are in Legazpi, most jeepneys headed for Daraga, Camalig, Ligao, Guinobatan, etc will pass by this park. We were told that the “Daraga-Tahao Rd” jeepneys pass by Embarcadero, what we usually do is take a tricycle since fare is usually around 10 pesos only, especially if it’s a “punuan” type of trike.